The Eastern Snowmobile Racing Hall of Fame is a non-profit organization originated by Paul T. Crane, who along with its board members on May 20th of 2017 at Crane’s Snowmobile Museum, began to recognize our first generation eastern snowmobile racers. Those original “Warriors of Winter,” the ones who started it all. The first chapter of the history of snowmobile racing was written right here in Lancaster, New Hampshire, the town that introduced the revolutionary Bombardier Ski-doo to America in December of 1959. It was here, that the very first organized race was held in February of 1962! The Lancaster Grand Prix, with it’s famous Kilkenny Cup, was considered the biggest, most prestigious in eastern racing during the golden era! A more fitting town could not be considered for an eastern snowmobile hall of fame than Lancaster, nor a better place within which to house it than Paul T. Crane’s museum. 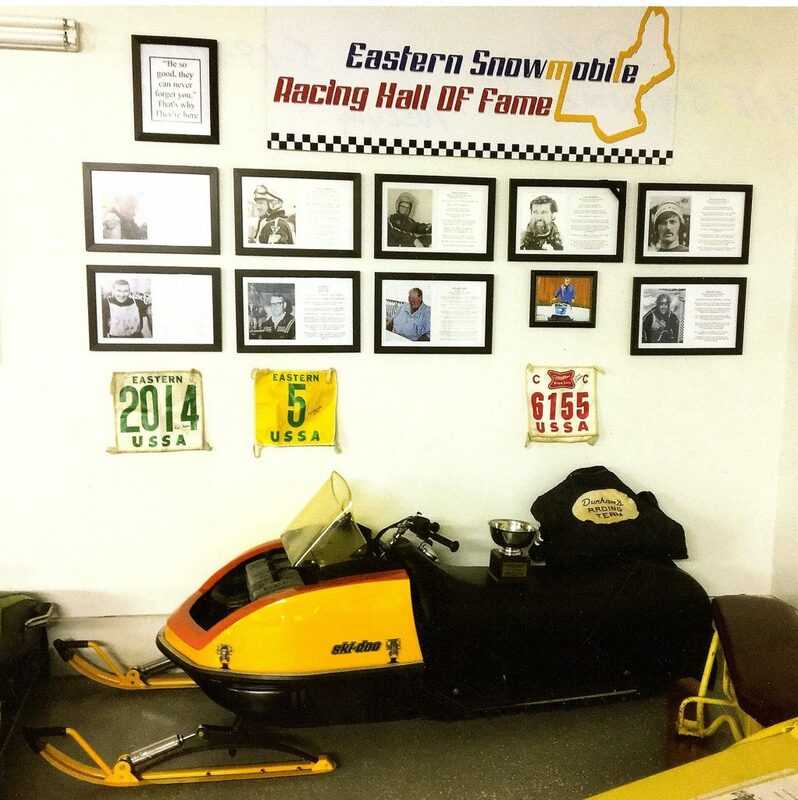 The Eastern Snowmobile Racing Hall of Fame with Bruce Dunham’s 1972 Ski-doo Blizzard race sled. 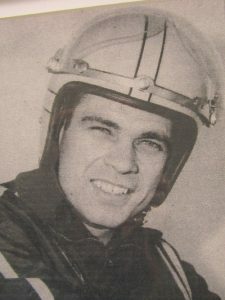 Claude Hebert (Racer/Promoter) showed exceptional racing talent in the early 1960’s which was noticed by the local Colebrook NH Moto-ski dealer and was hired as their driver. He soon caught the eye of Moto-ski distributor Rockwell Inc., for whom he not only raced, but soon becoming their New England sales manager. Claude also worked closely with the Moto-ski factory on engine development and rule requirements for racing. He played a key role in product testing and development along with committing to full racing schedules each season that contributed greatly to Moto-ski’s success. 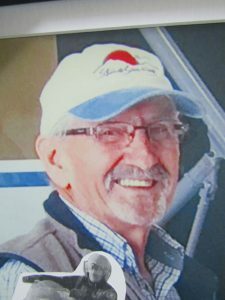 When Rockwell ceased as a snowmobile distributor, Claude accepted the job as New England regional manager for Snow-jet. now owned by Kawasaki Motors. He was soon promoted as National/International sales manager and moved to Grand Rapids Mi., where he was involved in product testing and product development and was involved in the development and promotion of the T. O. C. Tournament of Champions! But it was on an icy Sunday morning at the 1969 Lancaster Grand Prix that made Claude Hebert a household name in northern New Hampshire and helped to sell more tickets the following year than any major add campaign. Driving a 634 Moto-ski,Claude tangled with an Arctic Cat racer high in turn one and delivered to the snowmobile racing world the first real glimpse of the element of danger to this new sport and will always be remembered as, “The guy who cut of a telephone pole!” The pole came smashing down across the track, wires and all! Hebert was rushed to the hospital, found to be okay and he returned to finish racing that afternoon! He didn’t know it then, but this was his first gig at promoting. The following year at Lancaster, Team Arctic’s big race trailer had to be escorted by a State Police cruiser from town to the fair grounds on the left hand side of the road because the traffic was backed up for a mile and a half! Ralph “JR” Tozier (Racer) began racing in 1967, retiring 13 years later in 1980. 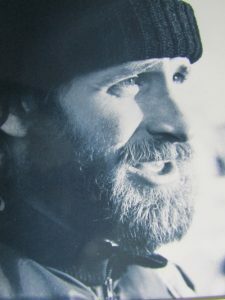 After soundly beating Ski-doo distributor, racing juggernaut Timberland Machines, JR was approached by team Captain Bob Fortin, who demanded that he begin racing for them! Wearing Gold bibs number #2, #7, #10, and #15 during his career JR had won a conservative estimate of 200 first, second and third place trophies. He set track speed records both at Jackman and Scarborough Maine, which held for 10 years and 8 years respectively! He was a member of both the USSA drivers committee and the USSA board of directors for a number of years. Tozier was well known as a very tough competitor, competing at six World Series, but bad luck each time kept him out of the winner’s circle, taking a couple of thirds and a couple of fifth place finishes. 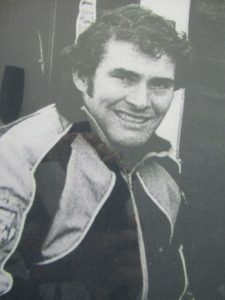 During the 1976 Lancaster Grand Prix, JR not only won the Kilkenny Cup in Mod Stock II against a huge field of hot Mercury and Yamaha racers, but grabbed second place with his Mercury SnoTwister in Mod II behind none other than Gilles Villeneuve, on his built from scratch, revolutionary IFS Ski-roule! The late Great Bob Fortin, Captain of the famed New England racing juggernaut, Ski-doo distributor Timberland Machines, Inc., began racing in 1964. His first race, the Lancaster Grand Prix and in 1966, became the second person to have his name engraved on the now famous Kilkenny Cup. He also won the Maine State Championship in 1966 taking three firsts and two seconds. In front of a standing room only home town crowd, Fortin set a world jump record of 67 feet 6 inches at the 1967 Grand Prix! He won the 1969 New Hampshire State Championship in Wolfboro. 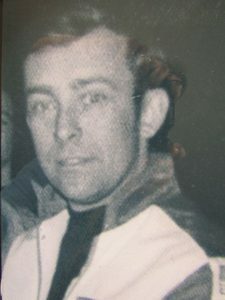 In 1970, Bob won the Balsam’s Cup, a Kilkenny Cup, Vermont’s Essex Grand Prix, both Mod I and Mod II at Bangor and was nearly unbeatable in these classes during both 1970 and 1971 seasons. Wearing Gold bibs #2 and #3 Bob Fortin was a stickler for perfection and is widely regarded as the best New England Ski-doo racer of his generation! Ron Hall began racing in 1970 at local upstate New York tracks. In 1973, Ron started racing Rupps for the legendary “Team Abold” and later switching to Arctic Cats. He is still the only driver to win the coveted Adirondack Cup twice! Ron took first place in Mod III at the 1975 World Series and was voted 1975 Driver of the Year! Wearing Gold bibs #1, #3, #4, #8, and #22, he still holds the record for most USSA points in one season and still holds the record for 15 straight feature wins in Mod I ! In 1977, while racing in five different classes, Ron took 22 first place, 12 second place 7 third place and 7 fourth place finishes! Ironically, in his first year of racing stock, he broke a spindle, crashing into the wall at Eganville Ontario Canada on February 5th 1977 ending his amazing career and left the sport with over 150 first second and third place trophies in just seven years of racing! Herb Yancey (Racer) raced an astonishing 30 years, from 1964 until 1994! He wore Gold bibs #2, #3, #7 and #20 during his career! Herb began racing in 1975 for “Team Abold” which became the most successful team in the history of eastern racing! In 1974, Herb became the first independent driver to win in SnoPro when he took first place in the 650 class at the World Series in Eagle River WI! In 1975 he won a Kilkenny Cup at Lancaster in Mod II and also won the 440 class in the 1975 PDC “Professional Driver’s Circuit” at Peterborough, Ontario both days! Counting the ’74 win, Herb has won six World Series events: Three first places in 1977 at Weedsport, NY; Won two in 1978 at West Yellowstone MT; and was voted “Star of the Series!” Out of 99 races he entered in 1977, Herb won 77 of them! Herb won the coveted Adirondack Cup in 1978 and became “Driver of the Year” in 1978! In all, Herb Yancey garnered an amazing number of trophies, estimated to be between 1200 and 1500 during his racing career! His record as an independent non-factory snowmobile racer is unmatched by anyone’s standard and may never be surpassed. Join us on May 11, 2019 to Honor These Snowmobile Greats! The 2018 Inductees: Bruce Beaurivage; Lewis Lunn; Calvin Reynolds; Edward Stabb; Kenneth Young. Bruce Beaurivage, (Racer) from Pittsburg, NH; Ken Young, (Racer) from Skaneateles, NY. (His Son, Dirk Young accepted the award in his place). Cal Reynolds, (Racer) from Gorham, ME. The 2017 inductees: Bob Clark, (Promoter) from Barre, VT. – Bruce Dunham, (Racer) from Avon, ME., – Bob Martin, (Racer) from Lancaster, NH., – Conrad Rollins (Racer) from Abbot, ME.